Congratulations to the Canadian Red Cross for Be Safe! a personal safety program that was recognized as one of the top winning entries in the CYCC Best Practice Video Competition. The mission of the Canadian Red Cross it to improve the lives of vulnerable people by mobilizing the power of humanity in Canada and around the world. 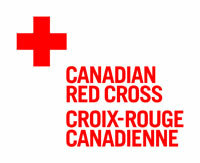 The Canadian Red Cross is the leading humanitarian organization through which people voluntarily demonstrate their caring for others in need. Building on decades of experience in community-based safety programs, the Canadian Red Cross has been helping to break the cycle of abuse, harassment and interpersonal violence for more than 20 years. RespectED: Violence & Abuse Prevention programs promote safe and supportive relationships and healthy communities through education and partnerships. Presentations and training is delivered at the invitation of schools and community organizations.